Visitors come to the garden each year, making them one of the city’s most popular attractions. The garden is located at the heart of Suva City and displays horticultural species, several greenhouses, and walking tracks. It is open for sightseeing every day of the year and admission is free. The garden can be hired for weddings, birthdays and other small functions. 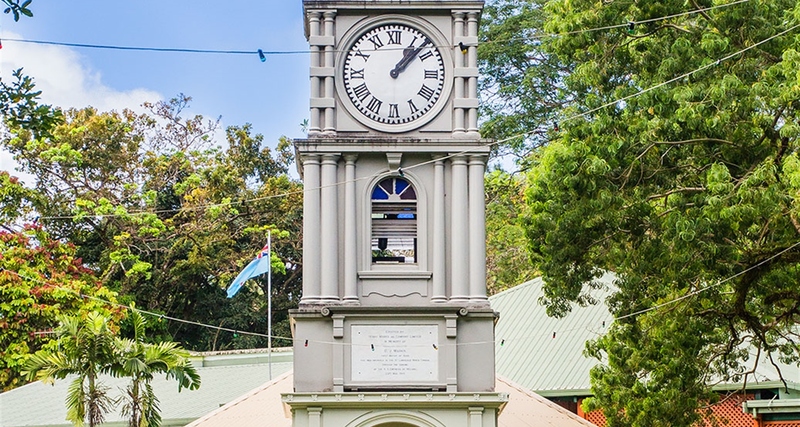 This gardens were founded in 1881 by Sir John Bates Thurston, an amateur botanist, Thurston Gardens is both a natural and historic landmark of Suva. Visitors can walk along the park’s trails, picnic on manicured lawns and see the natural beauty of the island’s native flora, including tropical trees, palms, ferns, colorful gingers and water lilies. In addition to botanic gardens, the property includes the Thurston Express, a locomotive once used to transport sugar cane that now serves as a fun, stationary attraction for children to climb on; and a bandstand and clock tower dedicated to the G.J. Marks, the mayor of Suva who drowned in 1914. 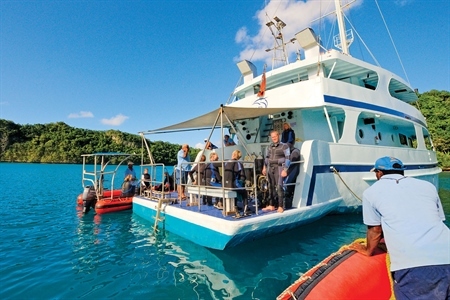 Thurston Gardens is also notable for hosting the Fiji Museum, where visitors can see artifacts and exhibits detailing the history and culture of Fiji, including some 3,700-year-old archeological remains. Thurston Gardens is a botanical garden next to the Fiji Museum. It this peaceful, public park has a variety of flora, including water lilies, ginger, palms and other native South Pacific plants. The park is open to the public, and is a good option after a day spent in museums or loud public markets and can also be used for weddings and outdoor parties.